Internet is basically a collection of networks like LAN, WAN, MAN. LAN means Locally area network. A website is a collection of web pages, these pages are then joined to one another through ftp (file transfer protocol). Dynamic – such as Facebook and sites. Changes can be made, accounts can be created etc. A portal is a website which provides diverse information in a unified way. A site which provides information from many sources on one page is called a portal. 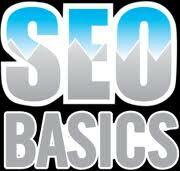 Search engines are run by softwares having there own databases. They provide us information when we enter any keyword for searching. Search engines are designed to provide knowledge and information to the people and when any one enters keyword related to his search he gets the pages displayed in search results, this is the how search engines work. There are many search engines. But some are popular and some are not. Google, Yahoo, Bing are popular search engines.